298 pages | 29 Color Illus. | 13 B/W Illus. Food credence attributes are food features that are difficult to verify even after consumption. Consumers, today, are concerned about many food credence attributes, including animal rights, contamination risk, fair trade practice, genetic modification, geographical origin, and organic farming. For the past several decades, many scholars have analyzed the value consumers place on credence attributes and have reported that consumers will pay a premium for foods with these desirable properties. In addition, their studies reveal that individual consumers place greater importance on some credence attributes than others. For example, some are seriously concerned about animal welfare, while others are solely concerned about food safety. 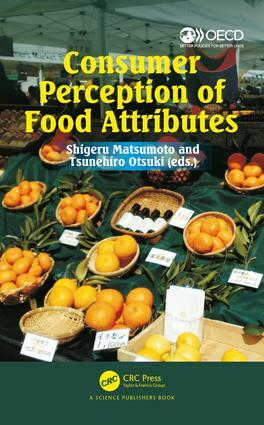 One of the objectives of this book is to summarize recent empirical findings from scholarly works on how consumers value food credence attributes. Such knowledge would benefit producers, processors, retailers, and policy makers. Another objective of this book is to discuss the effectiveness of the programs that have been introduced to strengthen the relationship between producers and consumers. Many programs have been developed to more effectively inform consumers regarding food production processes. Organic and local foods: substitutes or complements?